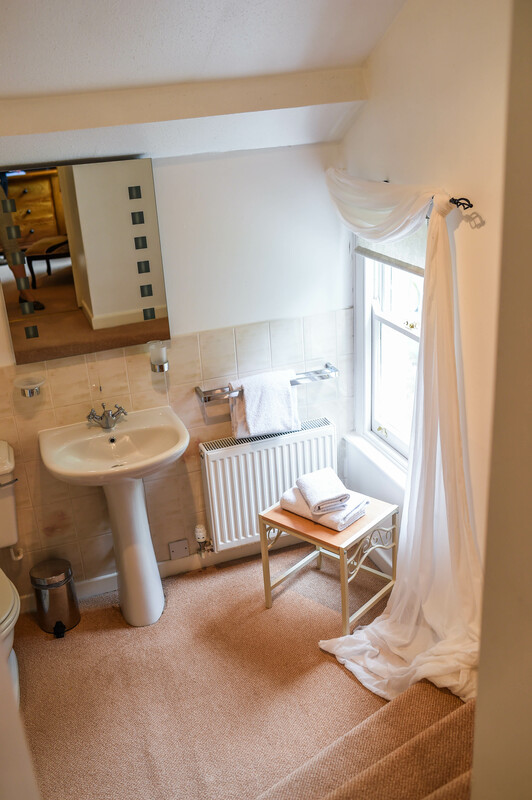 Hay Tor is a Superior room with a kingsize bed, high ceilings and a Sash window overlooking the gardens at the side of the hotel, the surrounding fields can be seen through the trees. There is one chair in the room and there is space for a cot. Hay Tor has a unique bathroom with three steps down from the room to the ensuite, which has a bath and shower. This is a Dog/pet free room. All of our rooms are non-smoking rooms.